WE HAVE 3 PIECES IN STOCK, SO ASK FOR MORE AVAILABILITY. WE CAN PROGRAMME THIS ECM ACCORDING TO YOUR ENGINE SERIAL NUMBER ETC BUT WITH AN EXTRA COST…SO ASK IF YOU WANT. 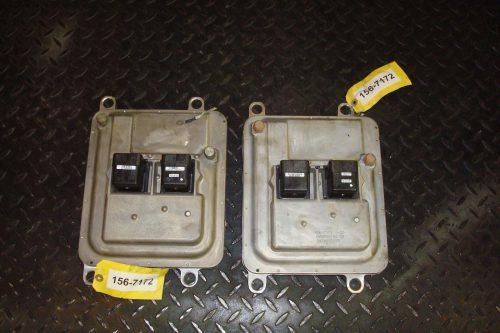 This is a REMANUFACTURED CAT ECM ….This ECM is warranty that would be PROGRAMMABLE….. IT DOES NOT MATTER IF YOUR SERIAL NUMBER OR PART NUMBER IS DIFFERENT, IT IS PROGRAMMABLE……we will program to the engine serial number of your choices.